Homepage » United States » Does Poverty Breed Hatred? The link between hardship and anti-social behaviour has long been established, with numerous reports establishing a correlation between crime rates and income, particularly in inner-city areas. But does poverty breed hatred in the same way that it breeds crime? It’s an interesting question, and one that The Washington Post chose to examine with their simple but powerful visualisation. 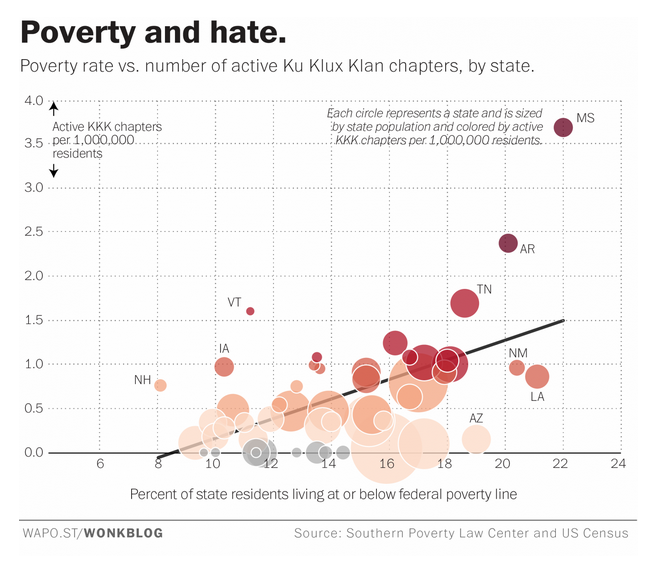 Entitled Poverty and Hate, the graph shows the poverty rate the USA (judged as the percent of state residents living at or below the federal poverty line) vs. the number of active Ku Klux Klan chapters, by state. 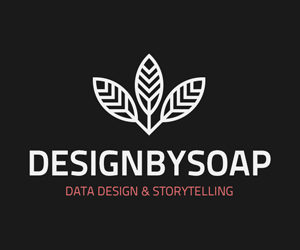 The visualisation uses data from the Southern Poverty Law Centre and form the US Census.